Dambi Uddo | Look mum no hands! 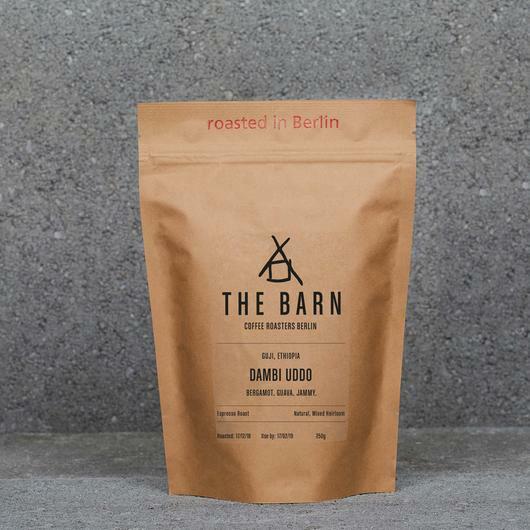 Discover the jammy Dambi Uddo by Berlin based The Barn in the guest hopper at 49 Old St.
"This coffee has a jammy mouthfeel." Berlin based THE BARN are leading coffee roasters in Europe and they represent the Specialty Coffee Movement at the highest level since 2010. Their beans are served by many coffee shops and home brewers across the globe. Their vision has been very clear from the start: Focus on making their coffees better and better. No compromise, no fakery - just great coffee. This is something we're into! "We would never blend our coffees in order to showcase specific flavour profiles and to present each farm we work with. This makes our farmers proud and the product fully traceable." We also have retail bags available to buy from 49 Old St. and online. If you want to try Dambi Uddo, roll down to the cafe ASAP!